Project Description: Construct grade separated intersection. 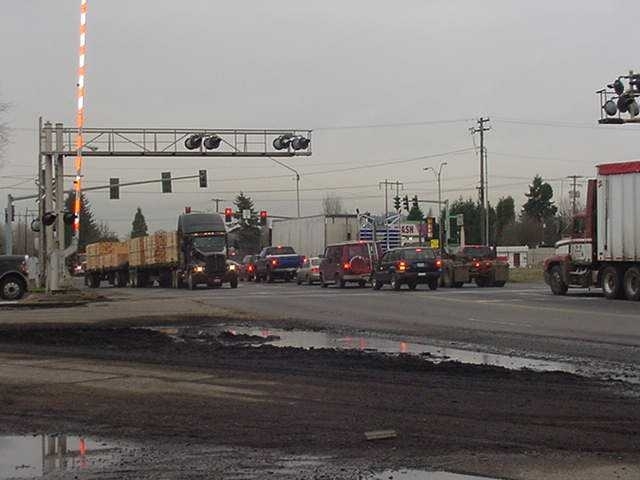 Basis for Project: : The SR 432 Rail Realignment and Highway Improvement Project has recommended the “SR 432 / SR 433 - Grade Separated Intersection” move forward as Tier I Priority to proceed into the Preliminary Engineering Phase. 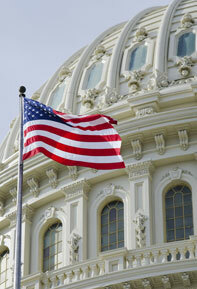 Funding: Project funding includes $0 Federal Grants, $15,000 State Grants, and $0 Local Funds for a total of $15,000. Schedule: Construction is expected to occur in 2021. 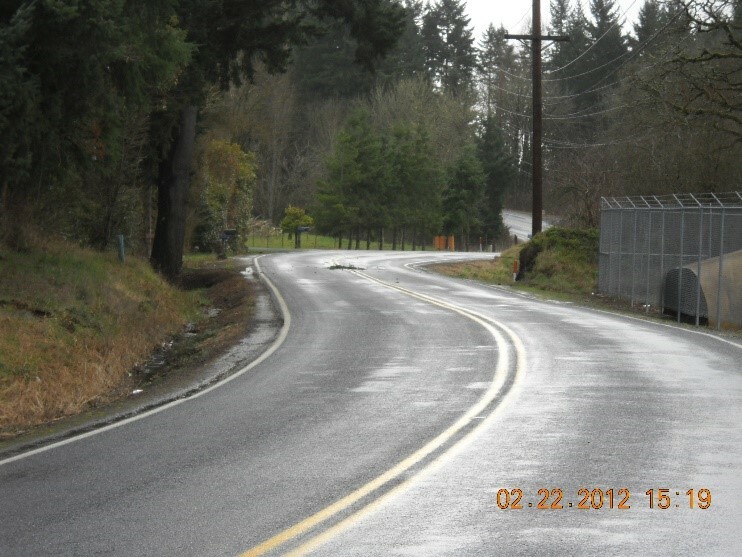 Project Description: Reconstruct roadway to include 12-foot travel lanes with widened shoulders. Includes horizontal/vertical alignment improvements. Funding: Project funding includes $1,174,500 Federal Grants, $747,000 State Grants, and $2,472,500 County Funds for a total of $4,394,000. Schedule: Construction is expected to occur in 2019. 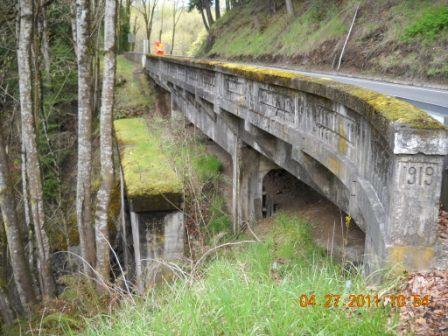 Project Description: Replace existing deteriorated bridge structure. Realign roadway to avoid conflicts with existing BNSF railroad tunnel. Basis for Project: Existing bridge was built in 1919 and has deteriorated with spalling, cracking of concrete and corrosion of reinforcing steel. Funding: Project funding includes $2,016,000 Federal Grants, $0 State Grants, and $524,000 County Funds for a total of $2,540,000. 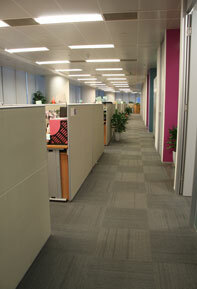 Project Description: Stabilize the roadway embankment in the vicinity of existing ground movement. Basis for Project: Earth movement in the embankment above the roadway has the potential to damage the roadway as it continues to move. Funding: Project funding includes $93,400 Federal Grants, $0 State Grants and $22,600 County Funds for a total of $116,000. 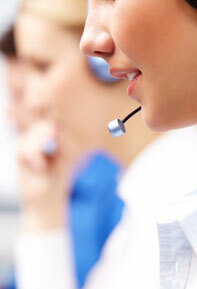 Contact: Chris Andrews, Project Manager / Engineer, (360) 577 – 3030. Project Description: Relocate section of road to avoid existing landslide area. Basis for Project: The existing roadway has been damaged and requires frequent maintenance (placement of additional gravel or pavement patching) due to earth movement. The roadway is going to be relocated due to its position relative to Goble Creek. Funding: Project funding includes $135,000 Federal Grants, $22,500 State Grants, and $31,500 Local Road Funds for a total of $189,000. Project Description: The failed 36” diameter culvert and two smaller culverts on Wren Loop Road will be replaced with and 18-foot span culvert. The White road culverts will be replaced with a 14-foot span culvert. The project will also include development of a simulated stream bottom through the new culverts, guardrail installation and roadway repairs. Basis for Project: The 26-inch diameter culvert on Wren Loop Road has failed and the roadway is closed. 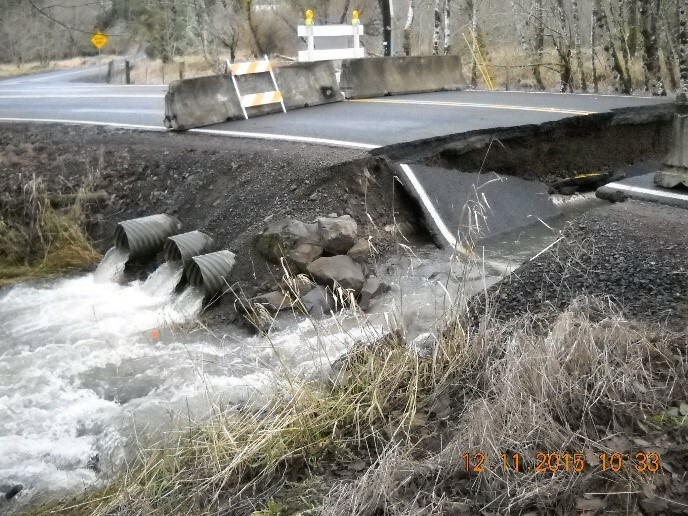 The culverts on both roadways are undersized and either have failed or are approaching failure. 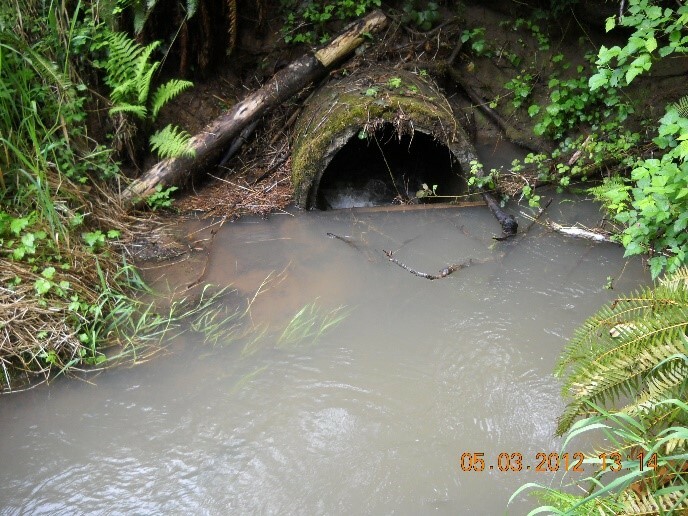 The culverts operate as a system and all of the culverts need to be replaces for the system to function properly. The culverts are also a barrier to fish passage and can become clogged with debris allowing water to build up on the upstream face of the roadway. Funding: Project funding includes $521,000 Federal Grants, $87,000 State Grants and $102,000 Local Road Funds for a total of $710,000. Schedule: Project construction is anticipated in the summer of 2019. Project Description: This project will stabilize the roadway embankment by rerouting drainage away from the unstable slope, installing a rock buttress, and reconstructing the travel lane. 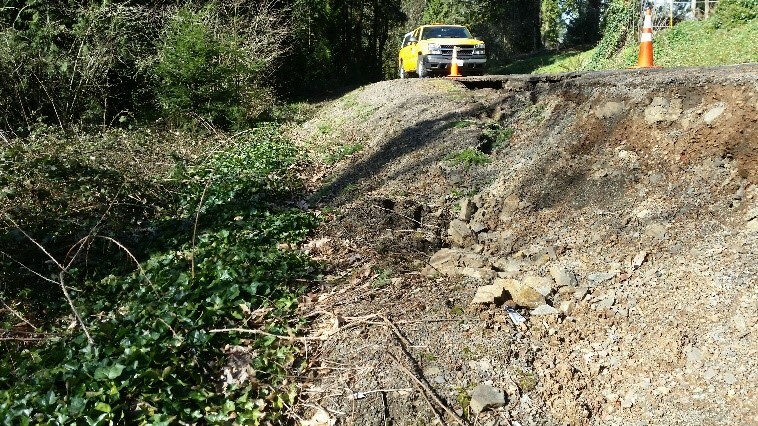 Basis for Project: The existing roadway edge has begun to slide downhill along the southern edge due to a minor landslide accelerated by discharge of drainage to the slope. This accelerated movement occurred during the December 2015 storm event. Funding: Project funding includes $162,500 Federal grants, $27,300 State Grants, and $32,200 Local Road Funds for a total of $222,000. Schedule: This project is scheduled for construction in 2019. Project Description: This project will repair the damaged portion of the roadway embankment by installing a rock buttress and reconstructing the damaged portion of the roadway. Basis for Project: The roadway embankment was damaged by rainfall in December of 2015 and continues to slide downhill. 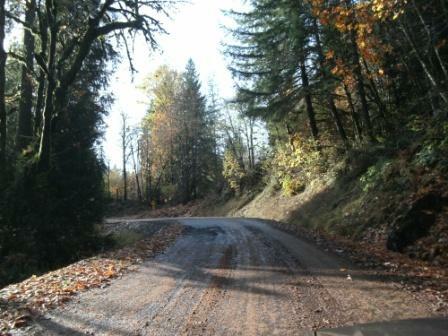 The damage includes a portion of the traveled way and is currently maintained as gravel. Funding: Project funding includes $120,000 Federal Grants, $20,000 State Grants and $25,000 Local Road Funds for a total of $165,000. Schedule: This project is scheduled for 2019 construction. Project Description: Replace the existing 3-foot diameter concrete culvert with a bottomless pipe arch (22-foot span). A simulated stream channel will be placed in the bottom of the structure and a portion of the stream channel will be realigned away from the roadway. 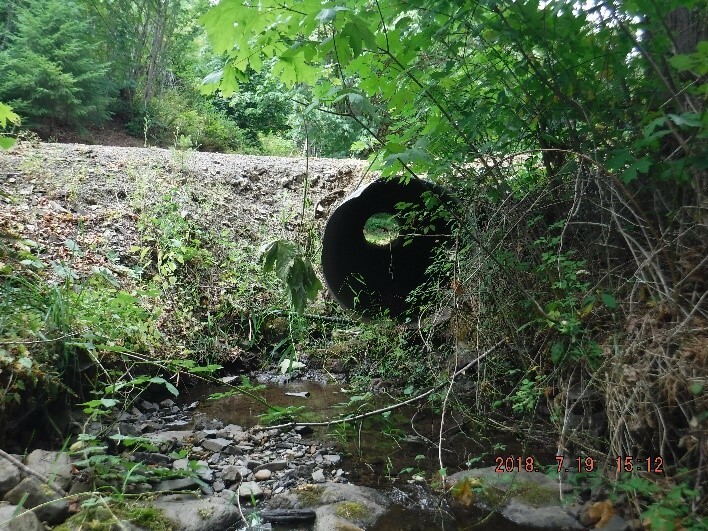 Basis for Project: The existing culvert is reaching the end of its expected life and is a fish passage barrier in a high priority fish habitat area. Funding: Project funding includes $1,173,000 State Grants and $217,000 Local Road Funds for a total of $1,390,000. 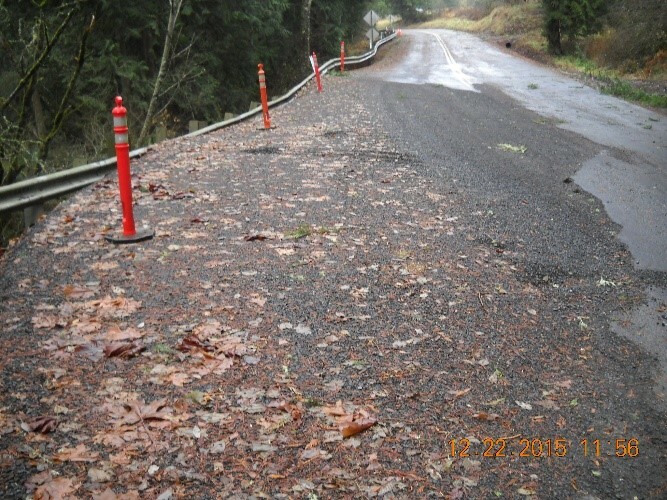 Project Description: Relocate existing roadway away from the steep slope created by embankment damage. 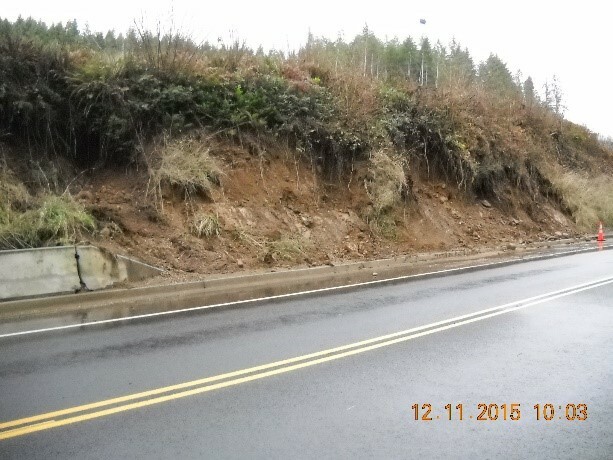 Basis for Project: Existing embankment is sliding and has undermined the existing roadway. The embankment slope is unstable and to stabilize the embankment would include working in Goble Creek making it a difficult project to permit environmentally. Funding: Project funding includes $101,200 Federal Grants, $16,900 State Grants and $26,900 Local Road funds for a total of $145,000. Schedule: This project is scheduled for construction by County forces in 2019. Project Description: Repair existing roadway embankment by placing rock fill at the toe of the embankment in a scour area. 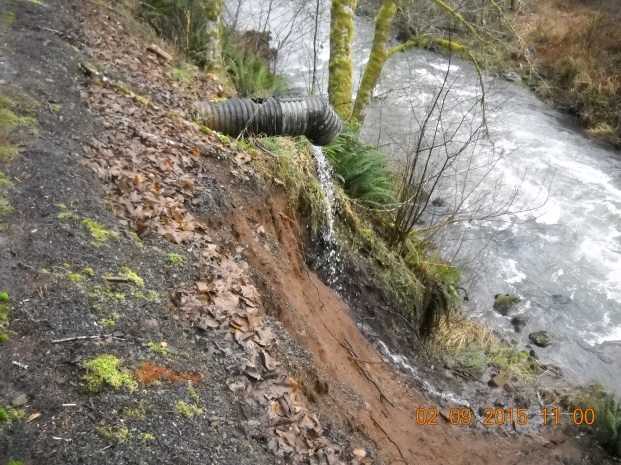 Basis for Project: A segment of the roadway embankment has washed out due to high flows on Germany Creek. The embankment has been subject to ongoing erosion at the creek level. 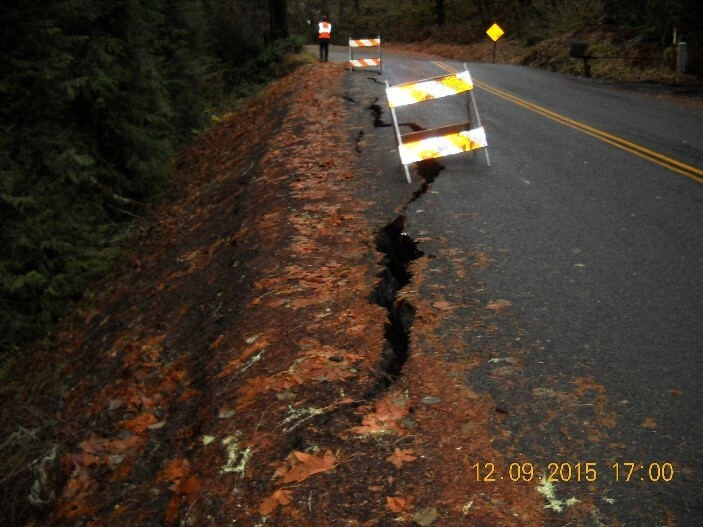 If the erosion continues unchecked the roadway prism will eventually destabilize. Funding: Project funding is $225,000 of Local Road Funds. 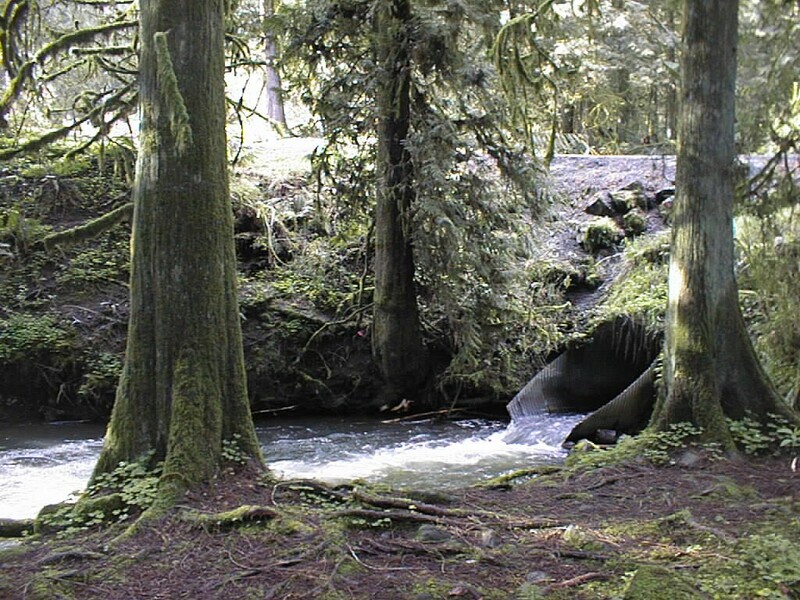 Project Description: Replace existing 15-inch CMP with a new culvert to allow for high flows and fish passage. Basis for Project: The existing culvert is undersized for large storm flows and fish passage. The metal bottom is completely rusted out and low flows flow under the culvert eroding the base material. At the downstream end there is a drop of approximately 1.5 feet. Mahaffey Road is a dead end road with approximately a dozen homes beyond the culvert. Funding: Project funding is $480,000 of Local Road Funds. Schedule: This project is scheduled for construction in 2020. Project Description: Reconstruct the roadway to include two 12-foot wide travel lanes with 6-foot shoulders. Includes horizontal/vertical alignment improvements. The existing culverts will be replaced and sized to meet current standards. Basis for Project: The existing roadway is narrow with minimal shoulders. Sections of the roadway have poor visibility due to horizontal/vertical alignment deficiencies. 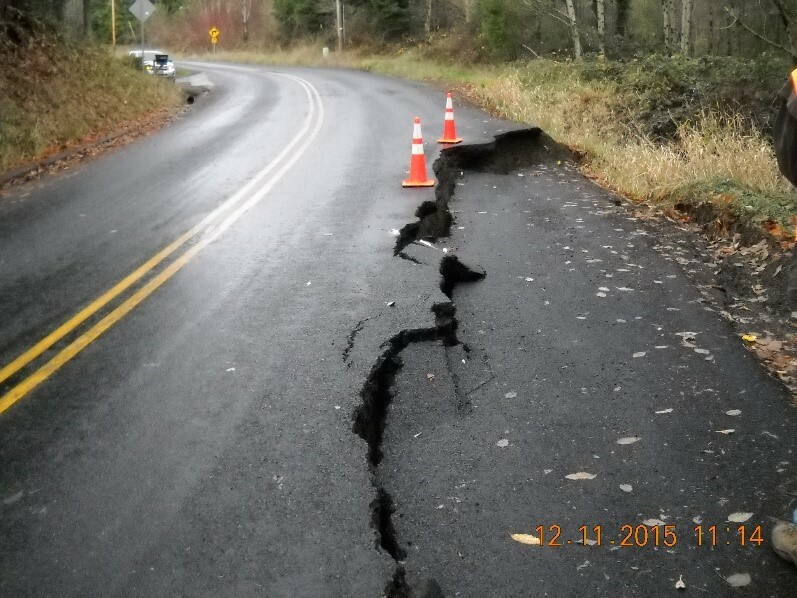 The Kalama area is developing and traffic is increasing on this roadway. 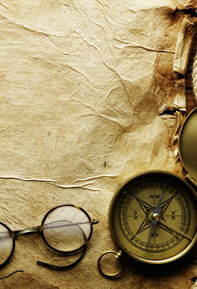 Funding: Project funding includes $1,300,000 State Grants and $930,000 of Local Road Funds for a total of $2,230,000. 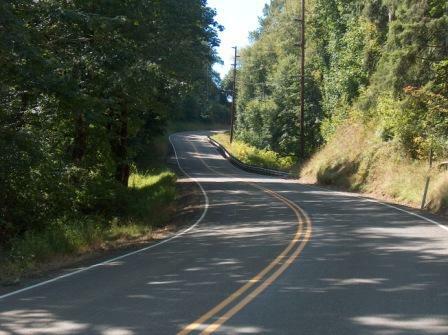 Project Description: Improve vertical curve sight distance south of the intersection of Confer Road with South Cloverdale Road by lowering the roadway at the vertical curve. Basis for Project: Current vertical alignment limits sight distance for vehicles turning onto Confer Road or continuing south on South Cloverdale Road. Funding: Project funding is $455,000 of Local Road Funds. Project Description: To repair the roadway embankment, loose material will be removes, a soldier pile wall with tie backs will be constructed and the roadway surface restores. In addition guardrail will be added. Basis for Project: The existing roadway embankment was damaged in the December 2015 rain event and if not repaired will eventually undermine both travel lanes. Funding: Project funding includes $510,000 Federal Grants, $85,000 State Grants and $90,000 Local Road Funds for a total of $685,000. Schedule: Scheduled for construction in 2020. Project Description: This project will replace an existing undersized 7.00’ diameter culvert with a bridge. Basis for Project: The existing culvert is a fish barrier that also has the potential to plug and flood the roadway. Funding: Project funding includes $2,181,000 State Grants and $390,000 Local Road Funds for a total of $2,571,000. Schedule: This project is a two year construction project and is scheduled for 2020 and 2021. Project Description: Repair the existing roadway by installing a rock buttress and repaving the roadway surface. The existing guardrail will be reviewed and upgraded as needed. 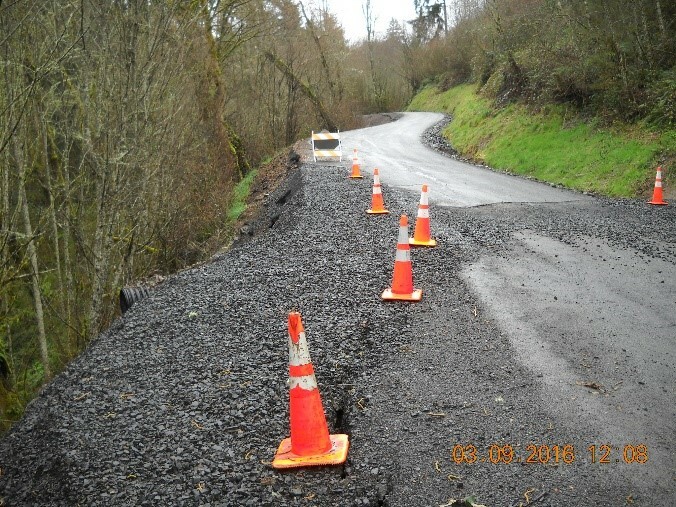 Basis for Project: Existing roadway and guardrail were damaged during the 2015 flood event. The damage has created the need for narrower lanes as the roadway continues to settle. 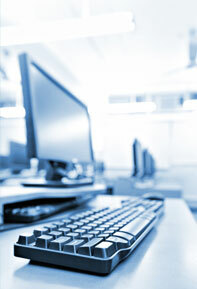 Funding: Project funding consists of $420,000 of Local Road Funds.